“There is a comradery with my union employees and with the management of the union, that we are working together to accomplish our goals,” says John Hiller, president of Hiller Electric. The union to which Hiller is referring is the Local 22. And their collective goals? Supporting a “good working life and a good retirement” for workers while providing safe, high quality electrical work for their customers. 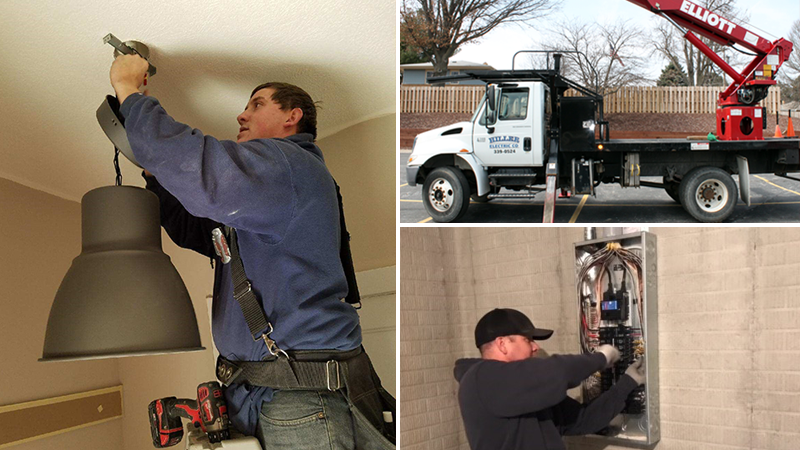 The company serves residential, industrial, and commercial clients, many of which have enjoyed a long-standing relationship with Hiller Electric. The communications company that contracted Hiller Electric to install updated electrical services with multiple backup generators have been working together for over 20 years. Then there is the food processing plant, a customer for 30-plus years, which needed a new plant-wide high voltage electrical distribution. And the insurance company who needed an uninterrupted power system designed and then replaced: it has been a customer for almost as long as Hiller has been in existence. Individual residential clients receive the same service and consideration as large commercial clients. It’s Hiller Electric’s mission, after all, to “treat every customer like we would like to be treated and to treat every job as if it were our own home,” says Hiller. This includes electricians leaving every home or job cleaner than when they found it and treating every customer how they would want their spouses treated if they were customers, Hiller adds. It’s service one associates with a family business. For Hiller, “family” includes the union. Some of his earliest memories are of attending union picnics and involve his parents entertaining electricians from the Local 22 in their home. His home away from home was the family electric company, where his father put him to work before he could drive. “And I’ve worked at Hiller Electric ever since,” he says.